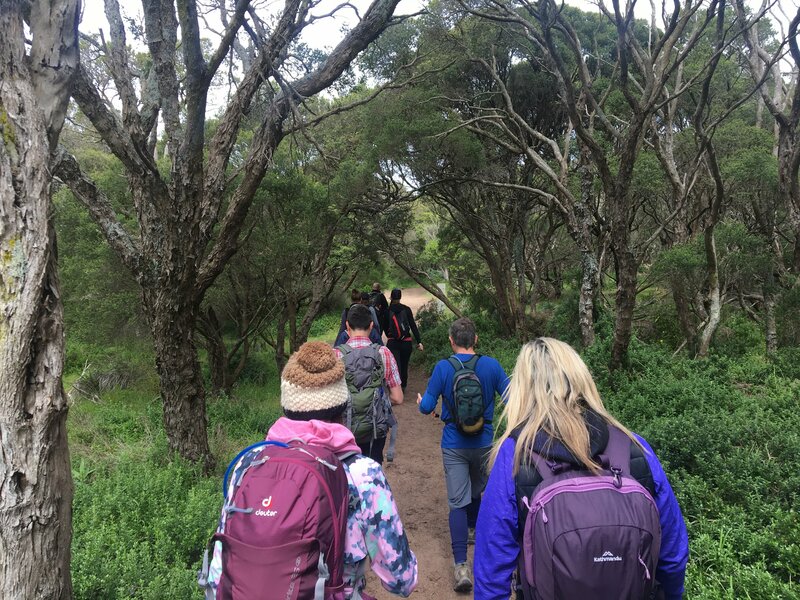 After cold conditions the day before, The Hiking Society MeetUp were treated to much more pleasant conditions on the near 13km Bushrangers Bay and Cape Schanck trail. 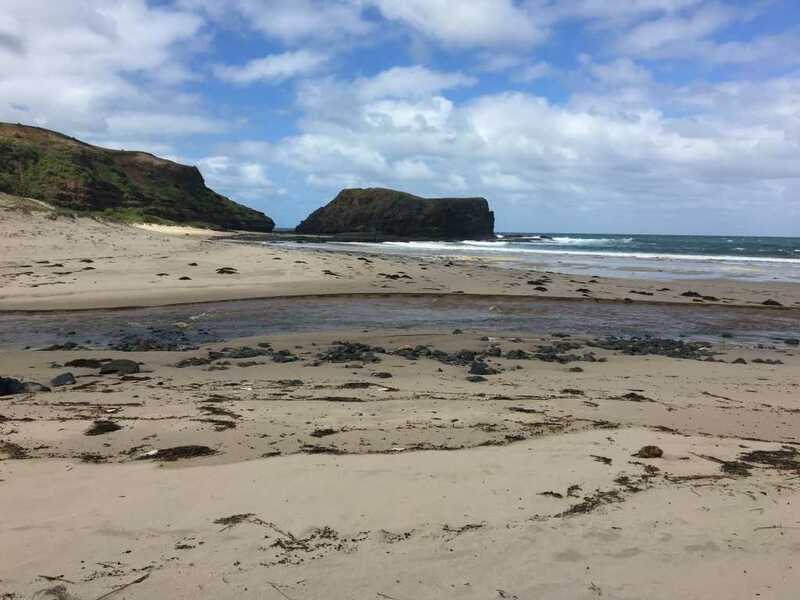 Bushrangers Bay gets its name from two bushrangers – Henry Bradley and Patrick O’Connor – who landed near Cape Schanck on Monday, September 15th, 1853 and were rowed to shore to the place now known as Bushrangers Bay. 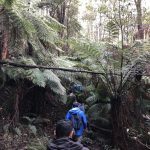 Starting from the carpark on Boneo Road, the trail itself is quite an easy one with very few obstacles to navigate and is wide enough for people to walk side-by-side. 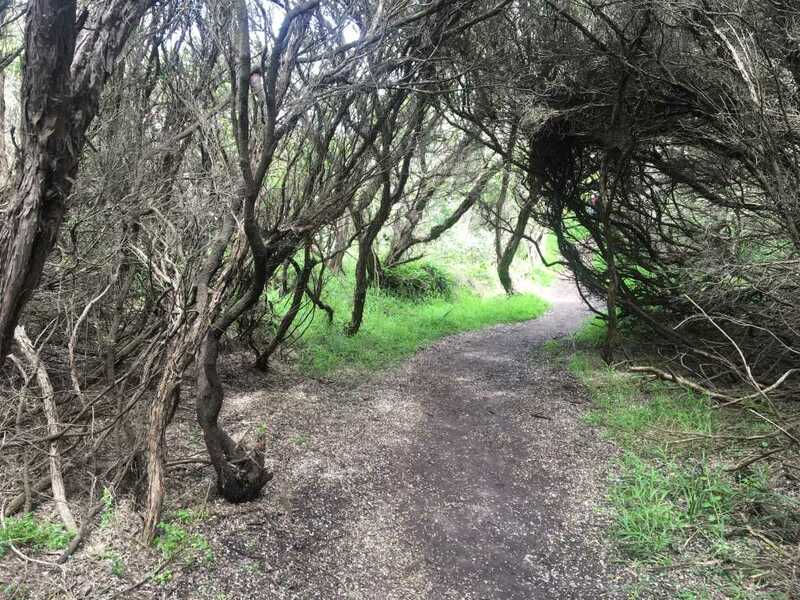 This particular trail also forms part of the popular 28km Two Bays Walking Track in the Mornington Peninsula. 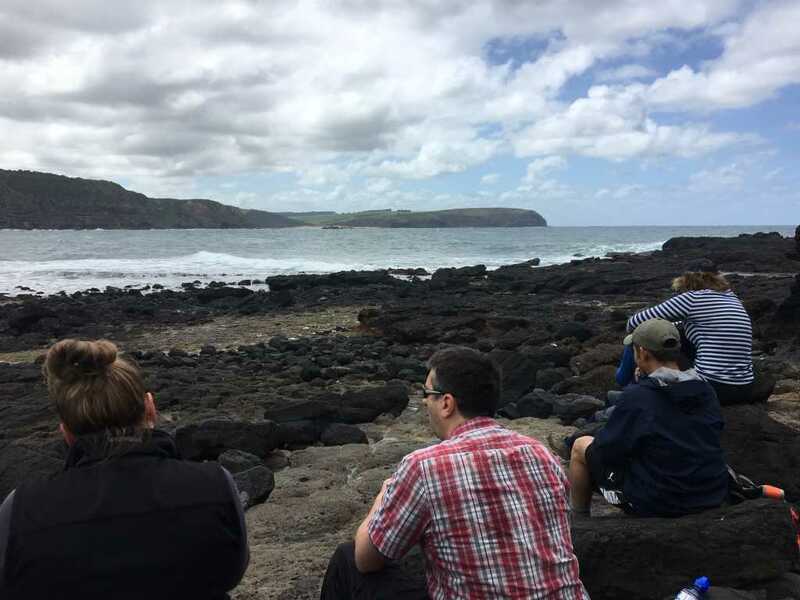 At the 2.5km mark, there is the option of continuing on the trail to Cape Schanck or taking a side-trip down to Bushrangers Bay. Naturally, our group went the latter option. The stairs to the bottom are somewhat steep but very soon you come out into the bay and right onto the shore. There is an option you can take to the nearby Elephant Rock where I am led to believe you are able to climb to the top. However, a deep stream was preventing us from crossing over. 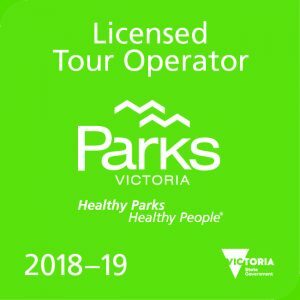 We took the stairs back to the t-intersection and continued on to the Cape Schanck car park. 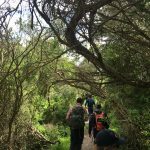 There are several trails sprouting off from the carpark, but we decided to take the boardwalk down to the rocks by the beach. You get some great views of the ocean here, and despite the wind, it really was a great place to stop and have some lunch. We started to retrace our steps at 12:30pm and were back at the Boneo Road carpark just before 2pm. I think what I really liked about this walk was how green the area is and the views of the ocean. 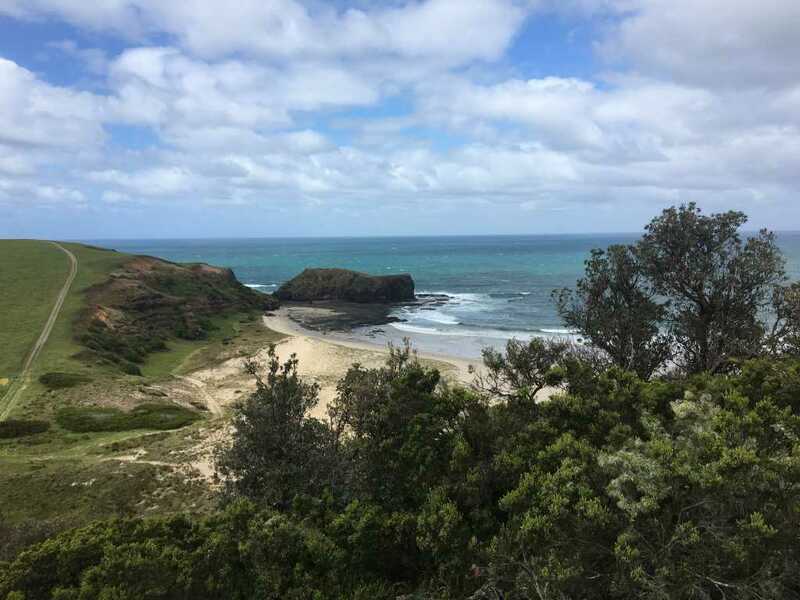 Furthermore, despite walking through an area somewhat crowded with trees, you are still able to get a good view of the ocean even before you reach the t-intersection or Cape Schanck. 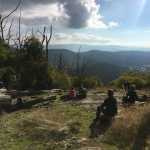 I would recommend this hike for hikers of all abilities and even those who wish to bring their children along. As always, if you would like to follow the trail I recorded, download it here.